If you thought Hillary Clinton suffered, think again. Her position as the biggest election fail of the year has been taken away from her by one Theresa May. Anyway you look at it, there’s no way that the sixty year old British Prime Minister can be enjoying life right now, and unlike most of us who hate life, everything that’s gone wrong with her is almost entirely her fault. 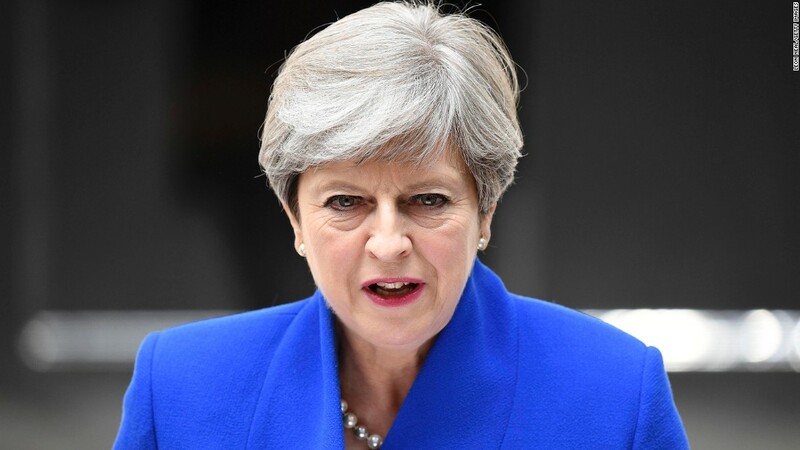 She lost an election that she should have won and worse, didn’t need to have, throwing her calls for stability and strength to the dogs, single handedly crashing the pound and throwing the soon to begin Brexit negotiations into complete disarray. Did she have to call an election? No, but she did anyway even though she could have been sitting pretty in number 10 Downing Street for 3 years without any problems. Given the size and nature of her absolute “covfefe” it’s only right that she’s being trolled like no man’s business. 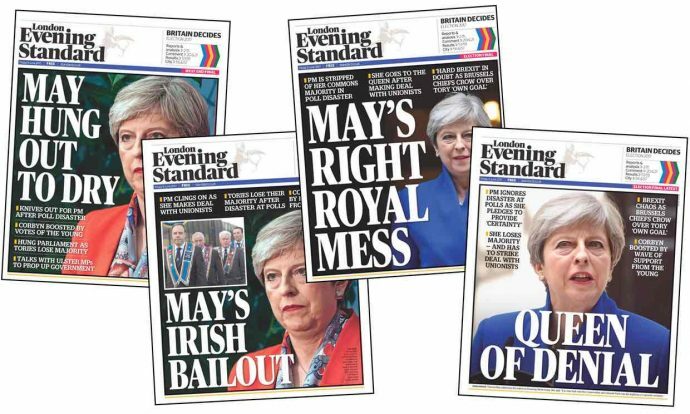 The Evening Standard ran the following headlines to celebrate her gaff. And then the newspaper’s Editor in Chief, George Osborne stuck a fiery knife into the open wood when he said in an interview, “She is a dead woman walking and the only question is how long she remains on death row.” That quote made just about every headline in existence. But the worst one has to be from the Telegraph – THERESA MAY ATTENDS CHURCH SERVICE AS SHE BATTLES TO HOLD ONTO POWER. How very Nigerian of her turning to God at the last minute for an unlikely miracle.